“ON THE GO” features for ground transportation. Advanced limo software network allows you to turn into a global transportation service provider enhances your global connectivity. Maximize your productivity and Increase profits with quick, easy & visually helpful mobile apps. With a single click, you can call the passenger, call the chauffeur, and then conference bridges the two calls. Effortlessly manages all your vital information of portal, mobile apps & custom websites with the same cloud data storage. View and generate detailed reports on reservation, employee, office, billing and more. Manage near demand global affiliate network and pre-booked reservation system with our Limo Software. It’s the most user-friendly way to assign a job just via drag and drop option to your available chauffeurs. Transport industry never sleeps so we provide 24x7 support from our technical experts of Limo Operating System. Members can book reservations, add users, check trip history, web access history, account history and look up for instant rates. Chauffeurs will be able to receive jobs On-Demand, use Google maps for real time navigation, update status in real time, view past jobs and manage current as well as future jobs. Additionally they can include tolls, parking, waiting time and end the job with a single swift slide. Chauffeur gets job requests on the basis of his current geographical location. A list of trips allocated to the driver along with a map showing the details of each journey. Chauffeurs can report back office about lost or found properties. Manages chauffeur information with updated drivers’ documentation. App is integrated with Google Map to provide consistent directions. Driver has the authority to cancel a journey if appropriate and necessary. Passenger can check their trip details, log time with pinnacle passenger App of Ground Alliance. Track your ride progress with real time and get closest vehicle and ETA are visible to passengers. Pre-estimate of Quick reservation and detailed Billing Receipt additionally rate your drives instantly. Your clients will be able to book rides through your customized app with your company name and logo wherever they are in the world. On-Demand Services available on your fingertips. Closest Vehicle and ETA are visible to passenger. Pre-estimate of Quick reservation to Passenger. Get into Global affiliation with Ground Alliance integrated affiliate Platform. Travel Operator network members can share jobs and split their revenues. Operators can set rates with their preferred clients on the base of “to & from” runs or mileage and time, or other factors. You have authority to block any affiliated company in case you wish to do so. Share jobs with your preferred affiliates all round the world. Operators can set rates with their preferred clients. On-Demand global affiliation network give boost to your brand name. Sharing jobs and splitting revenues increase economy of your business. 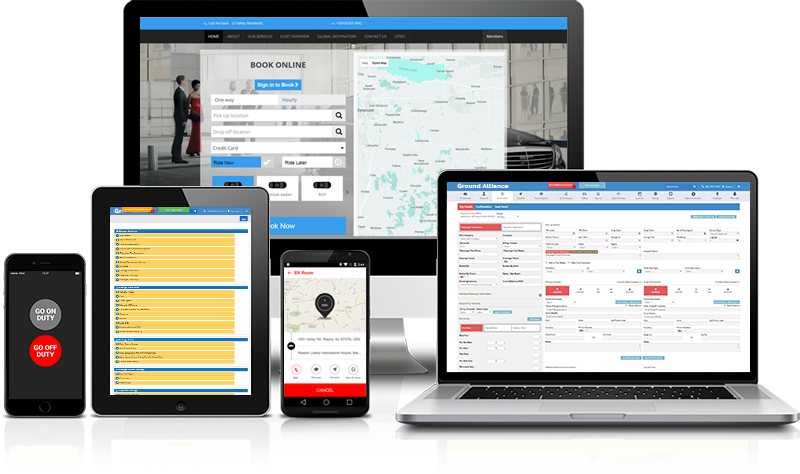 Ground Alliance advanced limo operating system provides a web portal along with ultra back office efficiency 24/7 from anywhere in the world quickly and effortlessly. 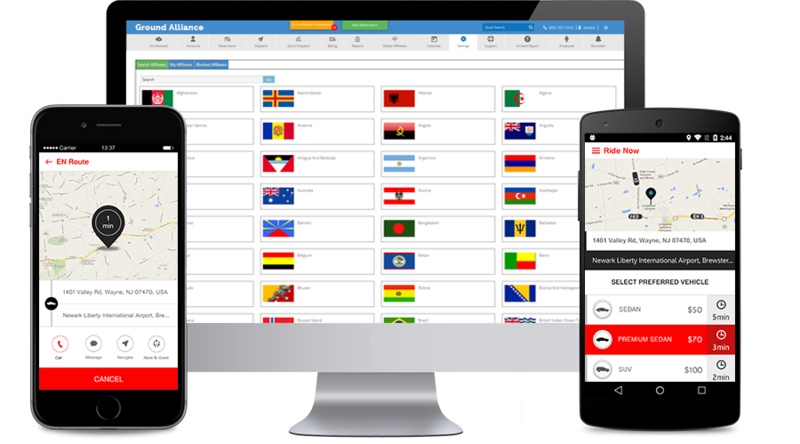 Get access of multiple loaded attribute like On-Demand, Accounts, Reservations, Dispatch, Quick Dispatch, Billing, Reports, Global Affiliation, Calendars, Settings, Supports, Incident Reports, Employee and Reminder. Innovative features, increased security along with superior then ever limo software for transportation industry. Reservations through mobile phones and tablets. Provide instant notifications via mail and SMS service. 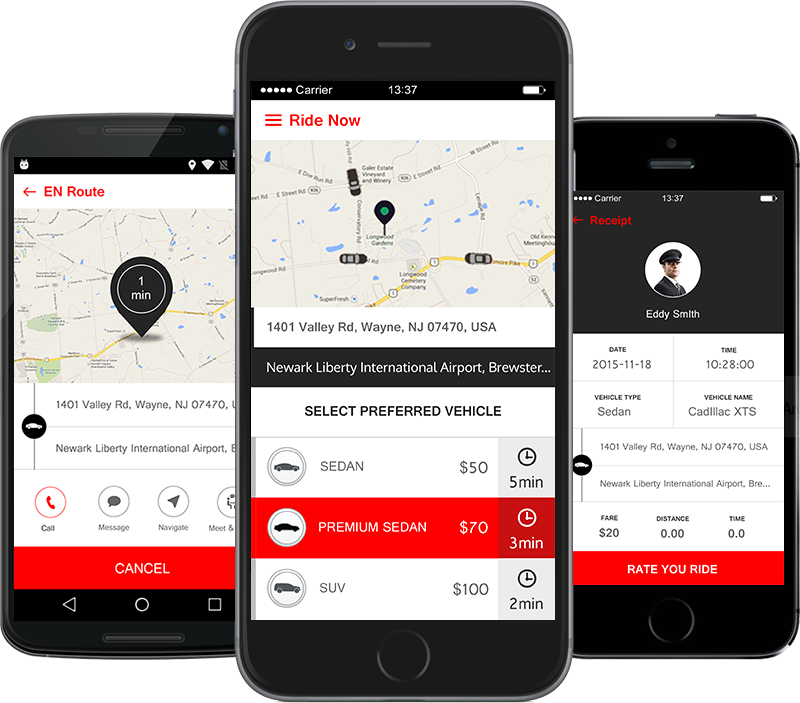 Get your App as well as Software customized according to your requirements and revolutionize the way your transportation corporation works with Ground Alliance. 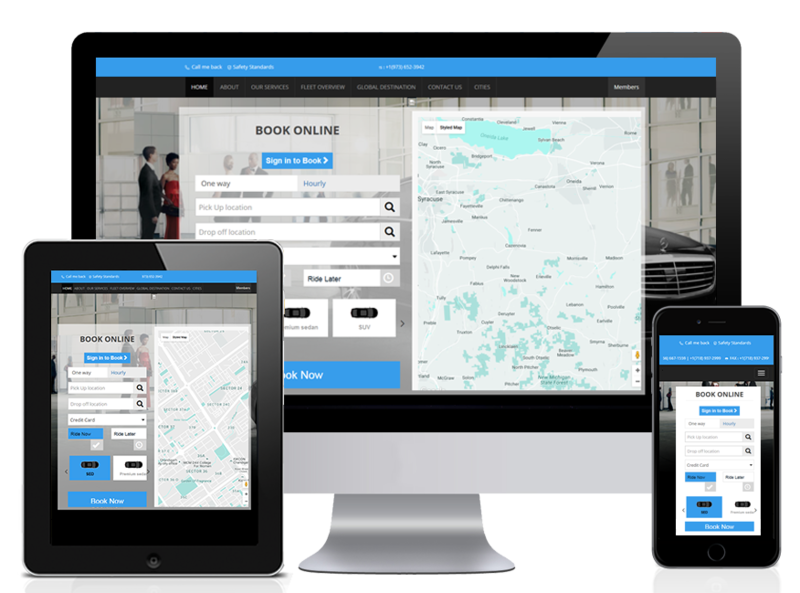 Online booking and user friendly interface for your customers. Convert your website into rapid reservation engine. Quick Booking/ Member booking/ Agent Booking.